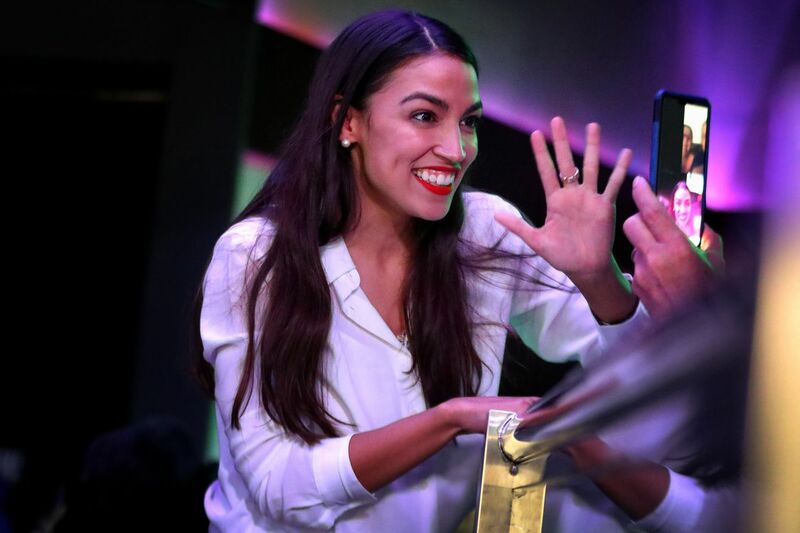 Rep. Alexandria Ocasio-Cortez (D-NY) made a stir on the campaign trail for her effective use of social media, and tomorrow she’ll be sharing her knowledge with her fellow Democrats, according to USA Today. Ocasio-Cortez will be leading a session with the House Democratic Policy and Communications Committee Thursday “on the most effective ways to engage constituents on Twitter and the importance of digital storytelling.” Her colleague, Rep. Jim Himes (D-CT) will be sharing his insights as well. Ocasio-Cortez has over 2 million followers on Twitter, and 1.8 million on Instagram. Himes, who runs his own social media as well, has 76,000 followers on Twitter. Lawmakers on both sides of the aisle have showed their technological ineptitude over the past year. Whether that be the House Energy and Commerce Committee grilling Jack Dorsey on algorithm bias, or members on the Senate Judiciary and Commerce panels grappling with just how Facebook works, lawmakers have a lot left to learn about the internet. Inviting a freshman like Ocasio-Cortez, even after some more senior Democrats have called her out for her unconventional tactic, could mean significant changes as to how the party engages with their constituents through social media. Wait till they find out Congresswomen dance too! We’ve already seen plenty of changes from lawmakers following Ocasio-Cortez’s Instagram Live cooking lessons and stories documenting her daily life at the Capitol. Sen. Elizabeth Warren (D-MA), who announced her bid for the presidency earlier this month, live-streamed herself drinking a beer in her home. Former Texas congressman Beto O’Rourke makes slime with his daughter on Instagram, and even posted a video of his last dental cleaning. Representatives from Twitter and the House Administration Committee, which puts together the social media rules for lawmakers, will be joining Ocasio-Cortez and Himes for their session.